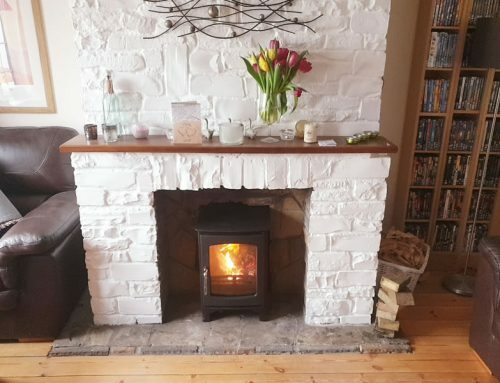 This project invovled removing an old Arts and Craft Wood and Tile Surround, before excavating recess and prepare for a slate hearth and installation of Franco Belge ceramic coated woodburner. 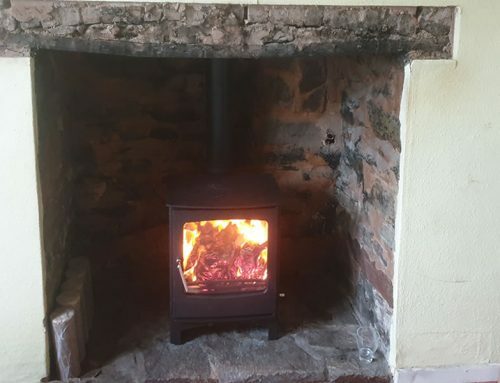 We dont often install green stoves, but this looks great in the original sized fireplace. 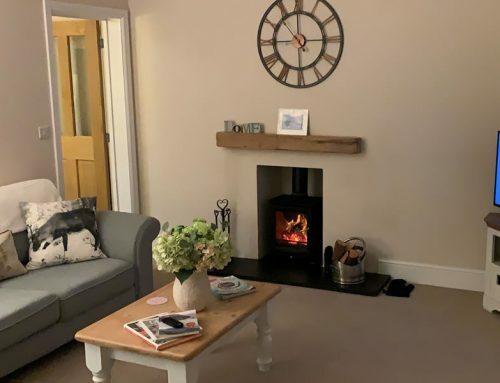 The 25mm slate hearth is the perfect base for any woodburner in both tradtional and contempory settings. We also flaunch the chinmey pots which were unsafe and in desperate need of repair. 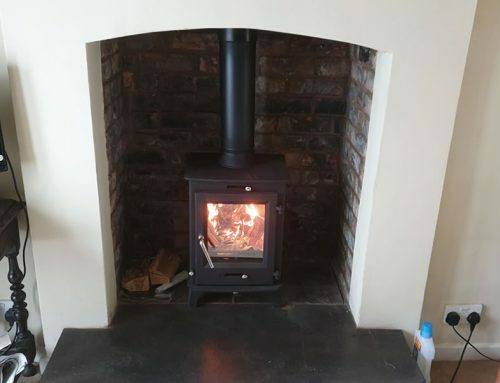 A rear T-Piece allows the stove to move forwards, which helps radiating heat into the room. 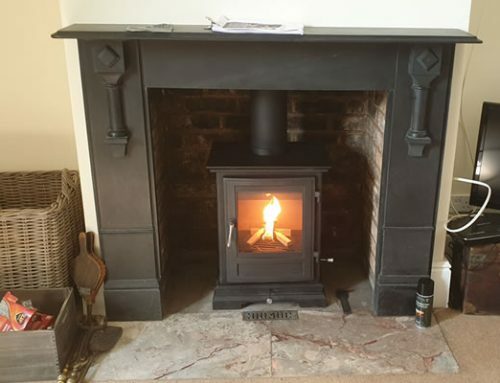 Call us today for your free survey 07715 104420.